DATE: Tuesday, April 14, 2015, 7:00 p.m.
Join us on the second Tuesday of every month for an opportunity to socialize and connect with like-minded west-side neighbors. We meet at 7:00 p.m. in a local home. 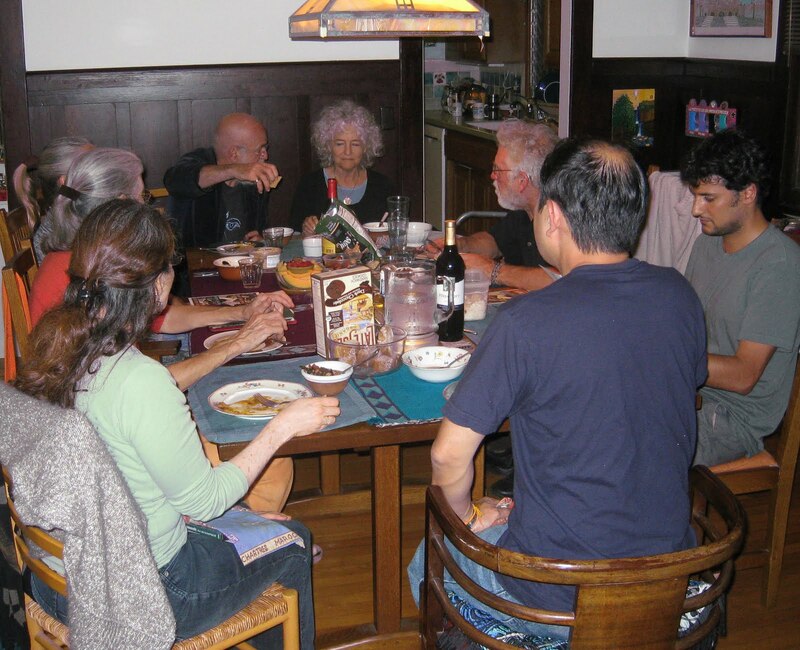 Bring a potluck item like an appetizer, casserole, salad, dessert, or something to drink, and enjoy a free-range conversation, getting to know each other and sharing our concerns. Here are some Transition topics that might come up: localization (food, investing—you name it), gardening, alternative transportation or health care, the sharing economy, the bees, our fears of the future, permaculture practices, how to reduce and reuse, celebrating life!). A little familiarity with the Transition ideas or The Transition Handbook by Rob Hopkins, would be helpful, but it's not necessary. DATE: Saturday, April 25, 10:00 a.m.-4:00 p.m. FREE! The annual Mar Vista Green Garden Showcase is an Earth Day celebration presented by the Green Committee of the Mar Vista Community Council. It seeks to empower Angelenos to adopt environmentally conscious living solutions. With many people walking or biking their tours, there is a tremendous sense of community, as garden enthusiasts from throughout Southern California visit the neighborhood to celebrate our shared vision for a greener life. This year, find the Transition Mar Vista/Venice hub at the Learning Garden at Venice High School. DATE: Sunday, March 22, 2015, 10:00 a.m.-1:00 p.m.
Want to learn more about wild food and medicine and where to find it? Join master forager and food activist Erica Wohldmann as she takes us for a walk in the woods. 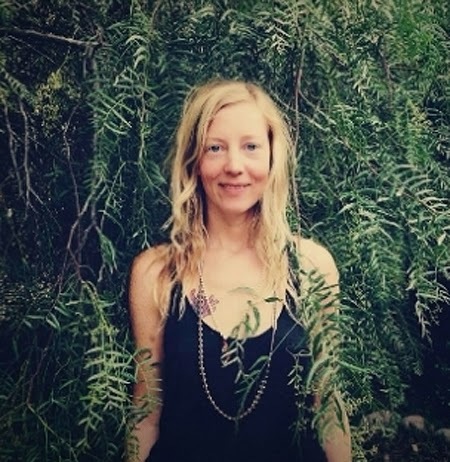 Erica will show us edible and medicinal plants and mushrooms, and discuss identification and preparation methods. In 2013, Erica traveled through 16 states and Canada, living in National Forests and on other public lands, foraging all of her food. While exploring North America on a quest to reclaim a diet naturally available, she occasionally gleaned from farmers markets and dumpsters, but mainly subsisted on what she found growing in the wild. "I traveled from forest to forest, chasing the rain, gathering wild and medicinal mushrooms, fruits, berries, vegetables, acorns, nuts, edible seeds for making breads, herbs for flavoring dishes, teas, and ingredients for medicinal beers that I crafted on the campfire. Along the way I met a variety of interesting characters—farmers, foragers, hunters, and random strangers—who shared their wisdom, their food, and their homes." Erica holds a joint Ph.D. in cognitive psychology and cognitive science from the University of Colorado, Boulder. She is a professor at California State University, Northridge, where she teaches classes about eco-psychology, the psychology and politics behind our food choices, and best practices in sustainability. Her research focuses on food and consumer choices. In the community, Erica also teaches workshops on herbal and medicinal brewing, wild-food foraging, and primitive skills. EVENT DATE: Saturday, February 28, noon to 6:00 p.m. 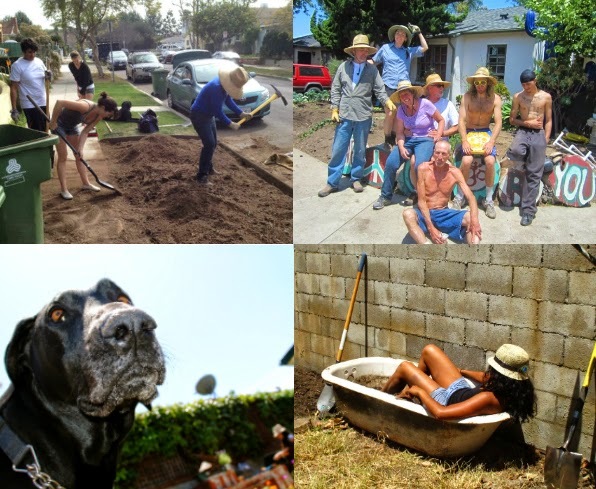 The Venice Neighborhood Council presents the inaugural Green Venice Expo, exhibiting sustainable architecture, electric cars, solar and grey water systems, green activism, ocean health, drought tolerant landscaping, and home food gardens and composting. Actor and sustainability activist Ed Begley Jr. delivers the keynote address. Other speakers include friends and neighbors you know, like: garden master David King of the Learning Garden and the Seed Library of Los Angeles; Andy Lipkis, founder and president of TreePeople, Paul Scott, a founding member of Plug In America; and Transition’s own Anneke Campbell. 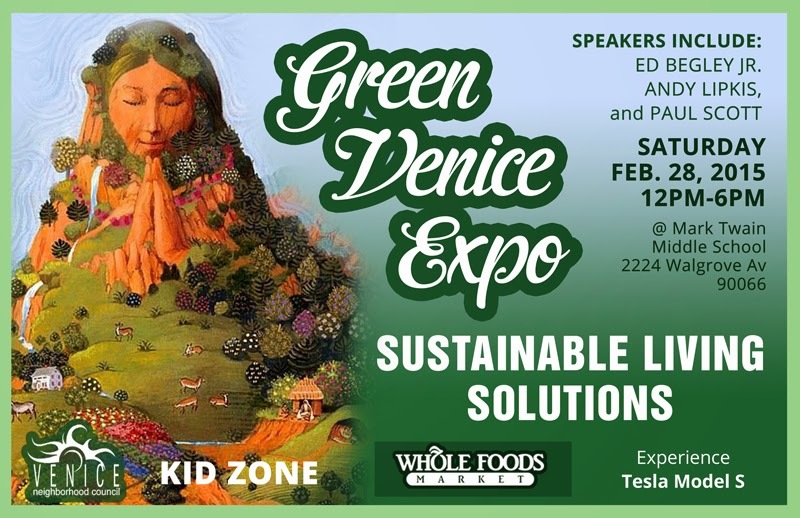 The Expo also features “green” activities for kids, e-waste and battery collection on site, a policy discussion with local elected officials, and an eco-genius bar where you can ask experts questions. Free street parking on Lucille Avenue. Celebrate Valentine's Day with friends and neighbors by helping to build an urban farm at an evolving Mar Vista community house. No experience is necessary to lend a hand removing turf and planting edibles. This house is preparing to open its doors, connect with neighbors, and grow food for the community. It will be a place where people can come pick fresh produce and hang out in the front-yard space you're helping to develop. This house will be a hub for community happenings, with free Wi-Fi and outdoor seating! Please spread the word through your social media. All are welcome! 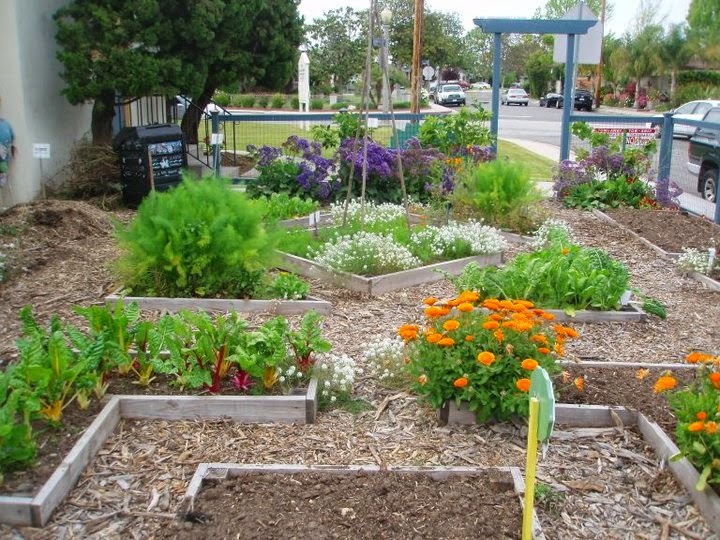 Good Karma Gardens is an initiative of Transition Mar Vista/Venice. We are a volunteer-run pay-it-forward edible gardening service helping people to grow their own organic food and collaborate with neighbors in the process. Everyone is welcome to participate, no experience necessary! 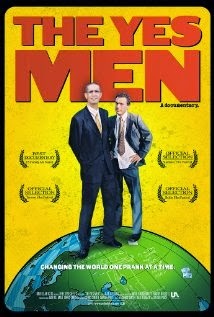 EVENT DATE: Tuesday, February 10, 7:00 p.m. This month Transition Tuesday moves to the community hall at Holy Nativity Episcopal Church in Westchester, where our friend Reverend Peter Rood welcomes TMV/V members and students from the Human Ecology class at Otis College of Art and Design. 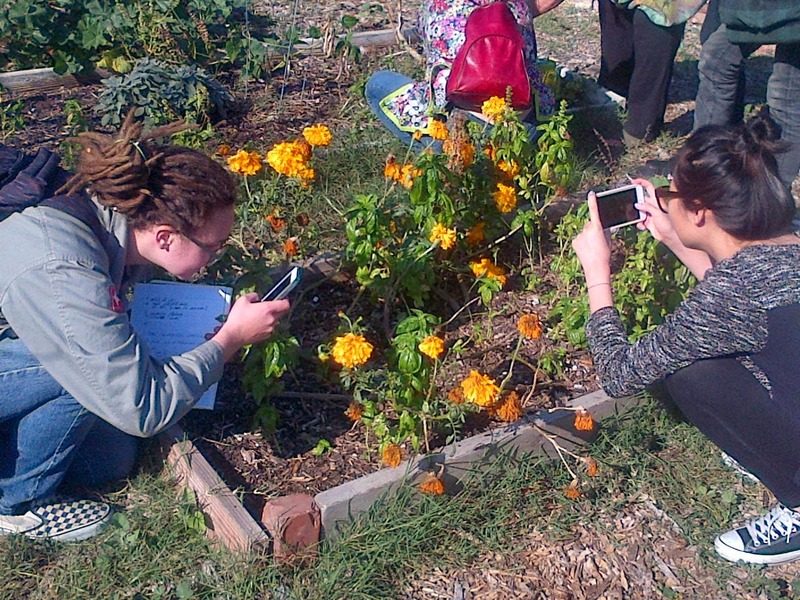 Led by TMV/V member Elektra Grant, the Human Ecology class is open to Sustainability minors, and these students have been working with Transition as a community partner. Students will be presenting their final group projects, which propose creative solutions to help TMV/V meet its aims and increase its effectiveness. We hope you will join us! Please bring a dish to share, along with your own plate, serving and eating utensils, napkin, and beverage container for a zero waste event. Community garden at Holy Nativity Church.